Every month Jazz In The Round gathers at The Cockpit with 3 acts. Barrier busting Sounds. In The Round. The night consists of three acts. The opening slot is dedicated to new and emerging artists. This is followed by a solo set, and then our main headliner. 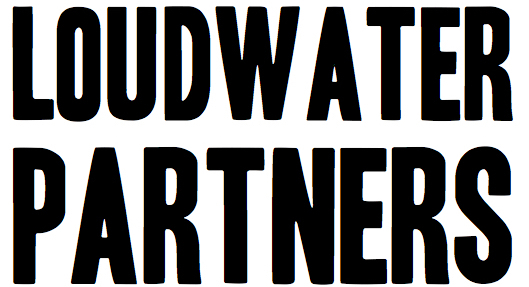 As part of our dedication to supporting new and emerging artists, we record their set. 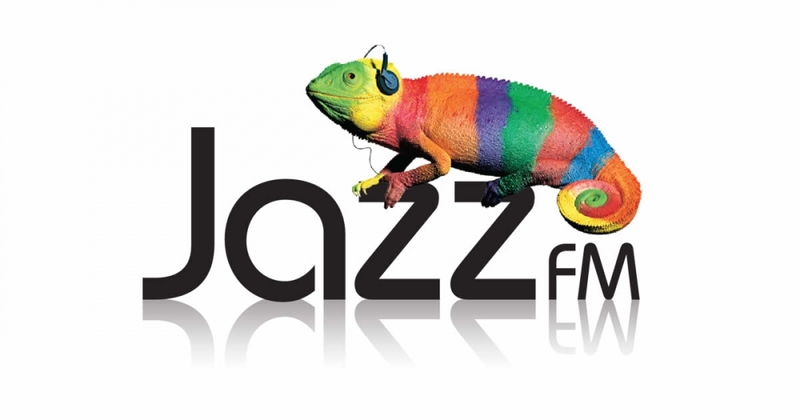 This is then broadcast two Sundays later on Jez Nelson's Sunday night show on Jazz Fm. 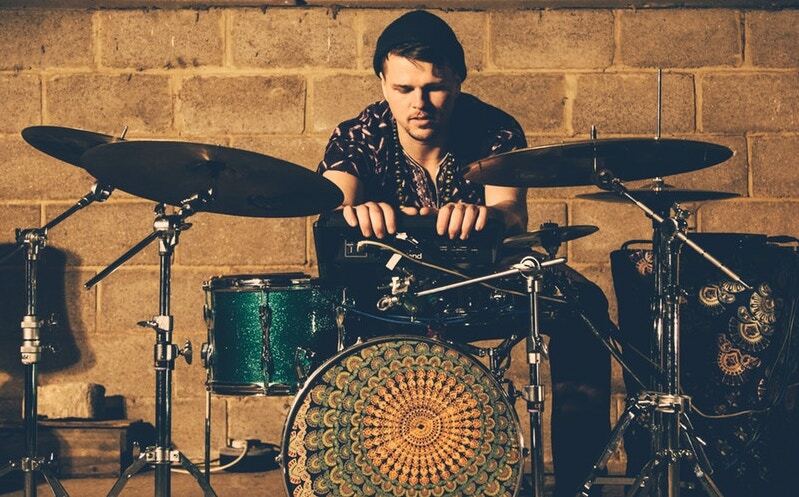 David Preston, Kevin Glasgow & Laurie Lowe are three of London's most creative young instrumentalists. Their music is a mash-up of shape-shifting rhythms, harmonic dystopia, and virtuosic improvisations. 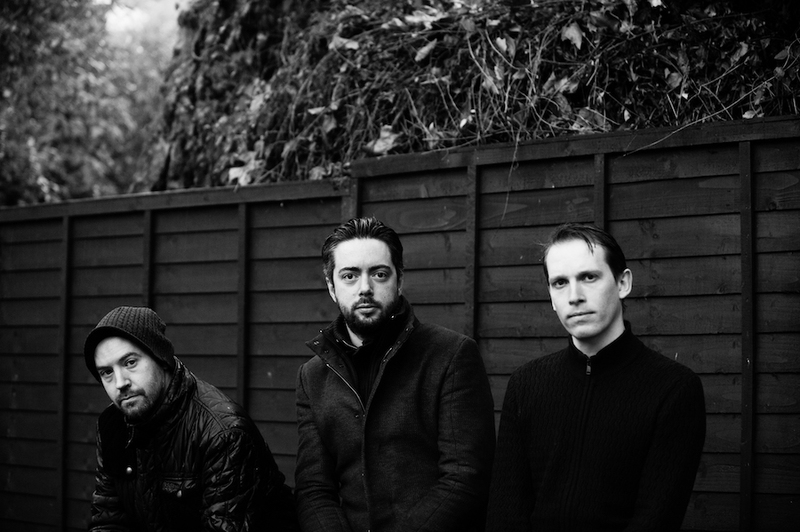 Expanding the format of the guitar trio with intricate and unique compositions, they draw influence from an expansive array of styles, whilst maintaining a focused and original sound. Their 2nd album, 'Something About Rainbows' was released on UK/US Label Whirlwind Recordings in November, 2018. Taking mankind’s first instrument for dance music, the drum, and linking it to the most contemporary, the laptop, Chiminyo is exploring what it is that makes us move. With each crash of the cymbal or thump of the kick drum a cascade of brilliant electronic sounds are triggered and generated by Chiminyo’s self-designed software. This innovative set up allows him to be in complete control, freeing him from all loops, click-tracks and backing tracks. Every synth, sample and sound effect is performed live and in real time. The result is a plethora of era-spanning dance-scapes featuring ethereal arpeggios, thumping acid bass lines and heavy beats. 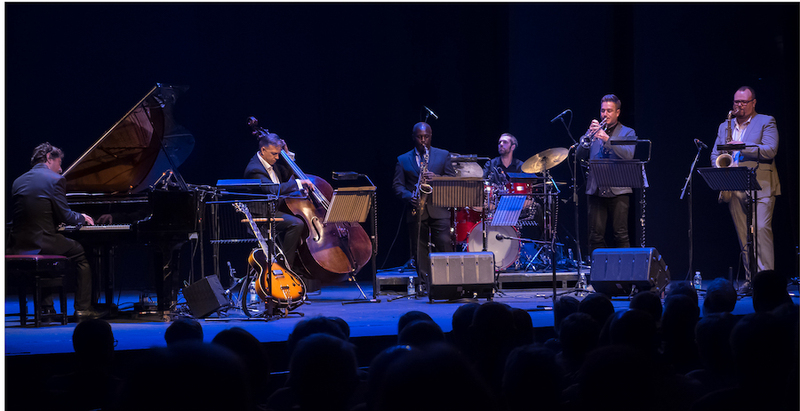 Award-winning Cambridge-based saxophonist Dan Forshaw and his sextet pay homage to the 60th anniversary of a year that changed jazz forever. Dan will be joined by Steve Fishwick (Trumpet), Tony Kofi (Alto Sax), Chris Jerome (Piano), Joel Humann (Bass) and Derek Scurll (Drums). 1959 saw the passing of jazz legends Lester Young & Billie Holiday and the release of the best-selling jazz album of all time, Miles Davis’ Kind of Blue. John Coltrane’s Giant Steps took saxophone technique to new heights, Ornette Coleman showed us The Shape of Jazz to Come and Charles Mingus released Mingus Ah Um. Dave Brubeck took Time Out to bring the sound of a ‘Dry Martini’, with Paul Desmond’s Take Five. 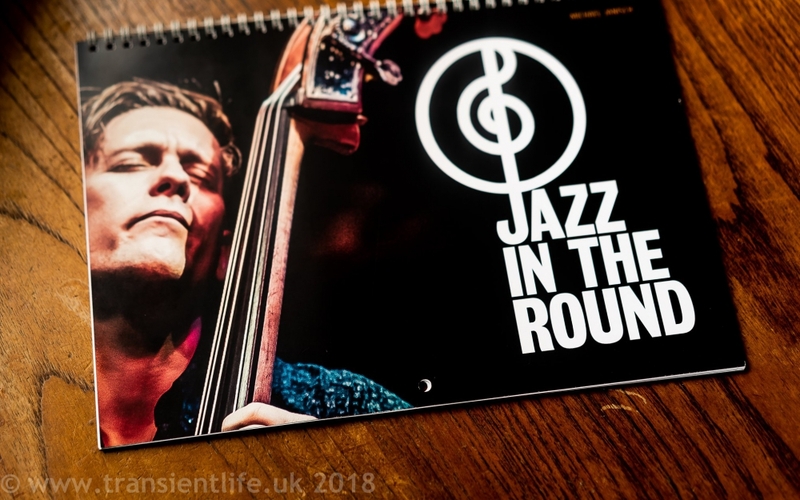 You can now purchase JAZZ IN THE ROUND calendars! £7 online or £6 if you buy in person. The Cockpit has been awarded an ACE grant so we can record all the emerging artists that play with us at Jazz In The Round . Take a bow all those who've contributed for free over the years to hold the space and get us here: Jez Nelson, Chris Phillips, Sean Corby, Alex Watson, Richard Wyatt, Steve Cropper, Gina Southgate. Take a bow Nick Burkinyoung, Akilah Dale, Chris Lince, Deb Jones, Kat Gardner who make each and every event happen with zen quality . Take a bow The Audience; and Cockpit Supporters of Sound, dozens of whom have been to each and every gig for 7 years. 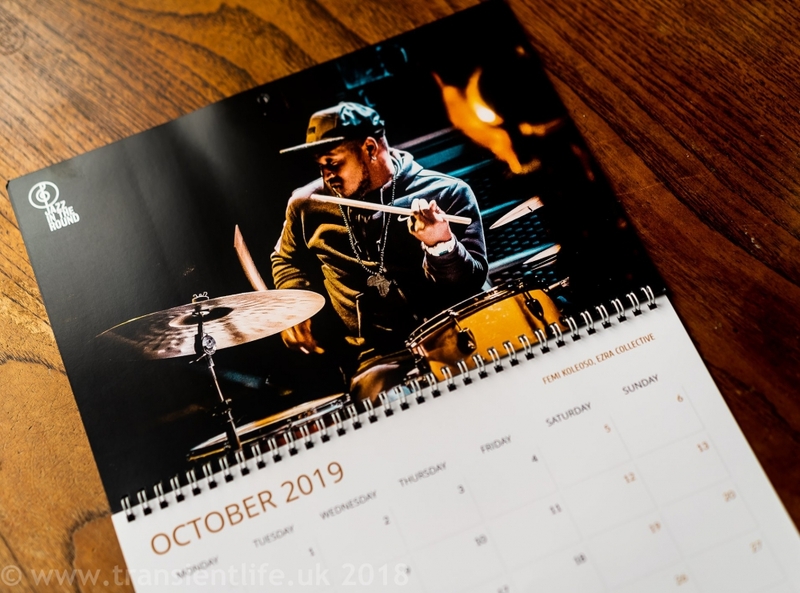 JiTR set out to provide an open event truly able to reflect and promote the brilliance, beauty and innovation of contemporary jazz in London and the stories of its fabulous musicians. And we're doing it. So loud applause for all of us - In the round. 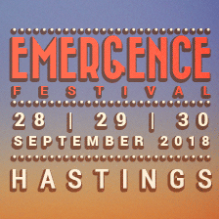 In September 2018 we took over St Mary In The Castle in Hastings to host the first of what will now become our bi-annual 3 day festival EMERGENCE. After debuting at Love Supreme Festival in 2017, in 2018 year our stage was bigger, brighter, and became the go-to place for a late night hang. And we'll be back in 2019. 5-7th July Tickets for Love Supreme are now on sale. 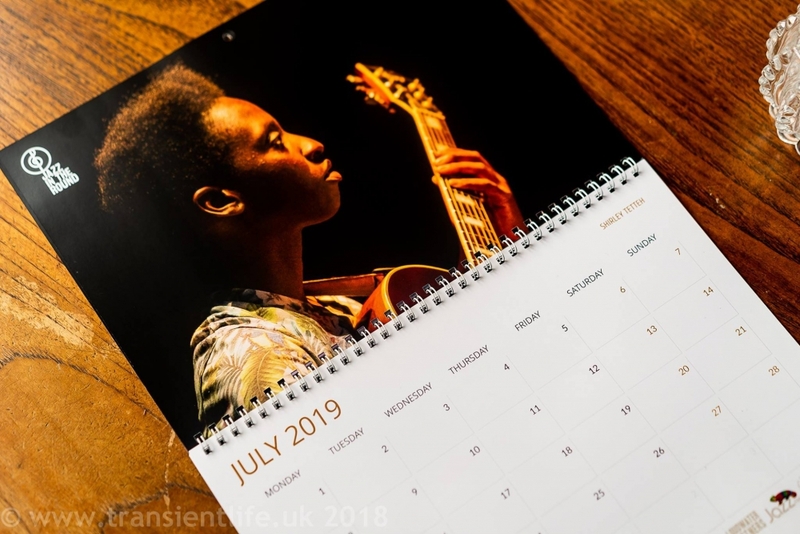 And every year we are proud to be part of the EFG London Jazz Festival. In 2018 we went bigger than ever with gigs both here and at Kings Place. Watch this space for news of the 2019 festival. 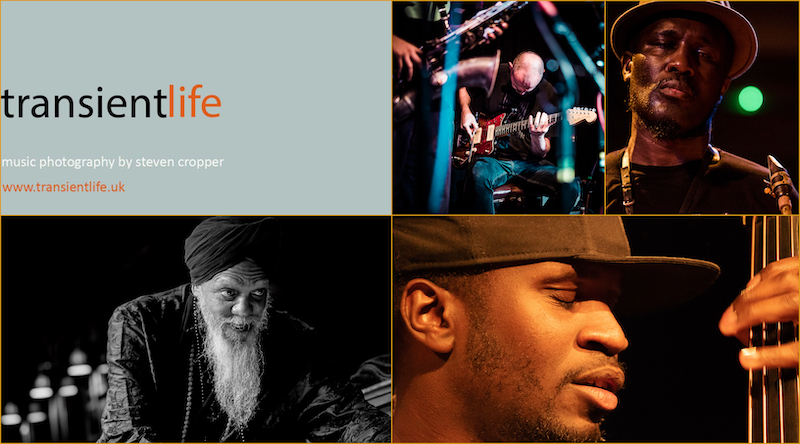 Each month we are lucky to have Steven Cropper taking photographs, and capturing the magic that happens. Catch up on his work at www.transientlife.uk where you can marvel at his images! For 100 quid you get free entry to 10 Jazz In The Round shows...which saves £20 (or 6 beers). Plus you get deals on tickets to Jazz In The Round special events. Save money, support new music at The Cockpit and try something new.Go on. You know you want to. Click here. Every month our artist in residence Gina Southgate paints the action as it happens. See her work on display in our foyer, view it on her website, and watch her at it live on the night. Interested in perrfoming at Jazz In The Round? Email alex_j_watson [at] hotmail [dot] co [dot] uk (subject: Performing%20at%20Jazz%20in%20the%20round) (Alex) to get involved!